RALEIGH, N.C. -- The Carolina Hurricanes have missed the Stanley Cup Playoffs for six straight seasons. While no one in the organization is making any lofty pronouncements about 2015-16, the vibe surrounding the team is changing. The Hurricanes are hoping to take another step in a youth movement while looking for bounce-back seasons from a handful of veterans. Carolina's non-shootout total of 183 goals was 27th in the NHL, and the offense must improve in order for the Hurricanes to make any noise in the Eastern Conference standings. Management made a few roster adjustments in the offseason, but key personnel decisions loom as Carolina tries to forge a winning identity in 2015-16. The Hurricanes' struggles last season began with their 0-6-2 start, but there were two long-term issues: They ranked 29th in the NHL in shooting percentage at 7.2 percent, and veteran forwards Eric Staal, Jordan Staal and Jeff Skinner saw a drop-off in their production. After combining for 155 points in 2013-14, they contributed 109 last season. "Some guys want to bounce back if they're not happy with the season they had," second-year coach Bill Peters said. "We're going to tweak a few things we did from last year with an emphasis on being a more dangerous team offensively." The Hurricanes acquired Kris Versteeg and Joakim Nordstrom from the Chicago Blackhawks in a Sept. 11 trade; they are the only two newcomers among the forwards. Versteeg, who had 14 goals and 34 points last season, replaces Alexander Semin, who was bought out of the three years remaining on his contract. 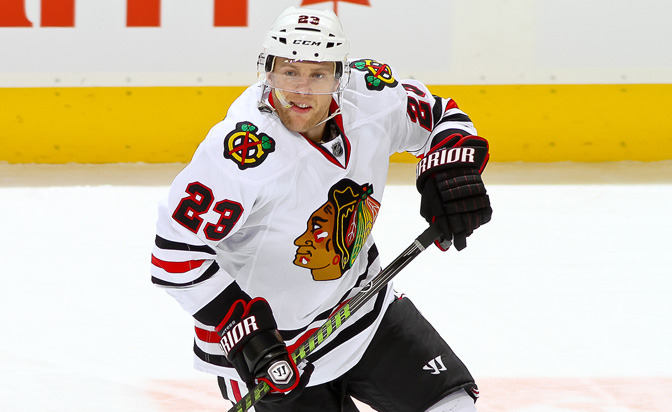 Versteeg is expected to play a key role in Carolina's offense at even strength and on the power play. "He'll get more opportunity here, playing higher up in the rotation than he did in Chicago," general manager Ron Francis said. "We've always felt he's a high-end skill guy. In the right spot with the right players, he can be very productive for us." Peters said he likes the chemistry of 2013 first-round pick (No. 5) Elias Lindholm and second-year center Victor Rask. Eric Staal will get the first look on the left wing with the two Swedes, hoping to form a balanced top line. Jordan Staal likely will center Skinner and Versteeg. But if the Hurricanes are to improve on their 30-win total from last season, some unproven players will need to contribute more offensively. Andrej Nestrasil showed flashes of power, playmaking and scoring touch, and had 18 points in 41 games after being claimed on waivers from the Detroit Red Wings. He is in line for an increased role this season. Chris Terry, a 26-year-old American Hockey League veteran, signed a one-way contract and drew praise from Peters after he had 11 goals and 20 points in 57 games with Carolina last season. The versatile Nordstrom also could land a spot as a depth forward. Riley Nash, who had eight goals in 68 games, and Nathan Gerbe, who scored 10 goals in 78 games, might face challenges for their spots in the lineup. The Hurricanes tilt heavily toward puck-moving defensemen, anchored by 23-year-old Justin Faulk, who took a leap forward in his fourth NHL season. He led Carolina in average ice time per game at 24:25 and finished second in scoring with 49 points. Faulk's minus-19 rating indicates there is room for improvement in his defensive game, but he draws raves from the organization for his dedication to reaching his potential. Ron Hainsey, a steady defender entering his 13th NHL season, likely will be paired with Faulk. James Wisniewski, acquired from the Anaheim Ducks on June 27, is two seasons removed from having 51 points with the Columbus Blue Jackets. His mobility and offensive skills add to an area of strength. "With the way the game is going, your defensemen have to be able to move the puck up to the forwards," Wisniewski said. "Not only that, but you need to create that second wave and intertwine with the forwards on offense." The Hurricanes made 18-year-old Noah Hanifin the first defenseman selected in the 2015 NHL Draft (No. 5), and management is confident he can make the team. But Peters said he will slot the rookie on pairings where he can handle the work load. John-Michael Liles, another puck-mover with power-play experience, is a dependable option. Ryan Murphy, 22, showed good offensive skills last season with 13 points in 37 games. Organizational depth should not be a problem as Michal Jordan, Danny Biega, Rasmus Rissanen and Keegan Lowe earned favorable reviews during call-ups last season. "We just want to be steady back there, where we're not a liability," Faulk said. "We don't want a situation where we're not getting pucks out of our zone." Goaltending will be the most carefully watched position in Carolina this season as jobs and contracts are on the line. Veteran starter Cam Ward will be joined by Eddie Lack, who was acquired from the Vancouver Canucks on June 27. Both will be unrestricted free agents at the end of the season, leaving Francis and Peters to carefully plot the future in goal. Ward, a fixture in Carolina for a decade, had an NHL career-best 2.40 goals-against average in 2014-15, but his .910 save percentage was 33rd among goalies to play at least 25 games. Lack took over as the Canucks' starter after Ryan Miller was injured in late February and went 12-6-2 in the final 21 regular-season games and played in four of the Canucks' six Stanley Cup Playoff games. Peters tends to ride the goaltender with the hot hand; he plans to do that with Ward and Lack. "I like our goaltending a lot," Peters said. "I thought Ward had a good year. Eddie Lack had a very good year, played the most he's ever played." The penalty kill was a bright spot in 2014-15, finishing fourth in the League at 84.7 percent. Carolina will need to overcome the departures of defensemen Andrej Sekera and Tim Gleason, two stalwarts on the penalty kill who were traded in February. The Hurricanes helped themselves by staying out of the penalty box; their 190 power plays allowed were the second-fewest in the League. Peters stressed having his defenders on the right side of the puck and moving their feet, making them less vulnerable to the referee's whistle. As a result, their 29 power-play goals allowed was the fewest in the NHL. Carolina's 15th-ranked power play (18.8 percent) should get a spark with the addition of Wisniewski, an underrated point man with a big shot. The same goes for Versteeg, who can finish chances near the net. The newcomers should boost a unit that includes young forwards Lindholm and Rask, each of whom showed promise on the man-advantage. "I think our power play will continue to evolve," Peters said. "Our specialty teams were good, but I think there's still room for growth." Peters earned the respect of his players in his first season as an NHL coach. He is supportive and enthusiastic, and he showed a knack for getting his younger players to play a disciplined, high-tempo game. Among the challenges in Peters' second season will be getting more out of some key veterans. Jordan Staal, who broke his leg in the preseason last year, scored six goals in 46 games, and Skinner's goal total dropped from 33 in 2013-14 to 18 last season. The reduced output played a role in Carolina falling from 83 points in 2013-14 to 71 last season. "It's not just myself; there were a lot of players maybe underachieving on the goal-scoring side," Jordan Staal said. "I think everyone's got the mentality that we have to create more offense and hopefully we can do that."